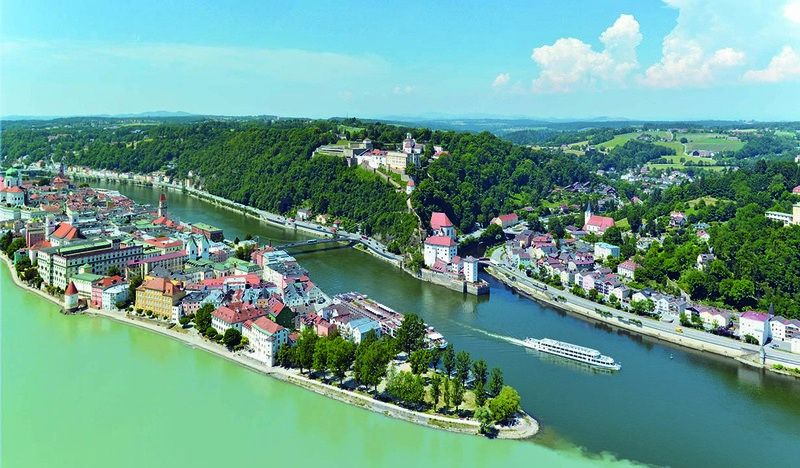 Enjoy the unforgettable view of Passau, with its Italian flair and colorful buildings. See St. Stephan‘s Cathedral, the confluence of the three rivers Danube, Inn and Ilz, with their different colours, Oberhaus Castle and the Monastery Maria Hilf. While you are enjoying your drinks and snacks, we will provide you with interesting information about the city via loudspeakers. 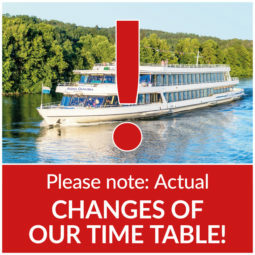 In the main season the new Cabrio Ship SUNliner does the tours on half the hour: 10:30 a.m., 11:20 a.m., 12:30 a.m. 1:30 p.m., 2:30 p.m., 3:30 p.m. 4:30 p.m. Drinks and snacks available. Download the menu card here. For groups we have special offers: Download group offers here. 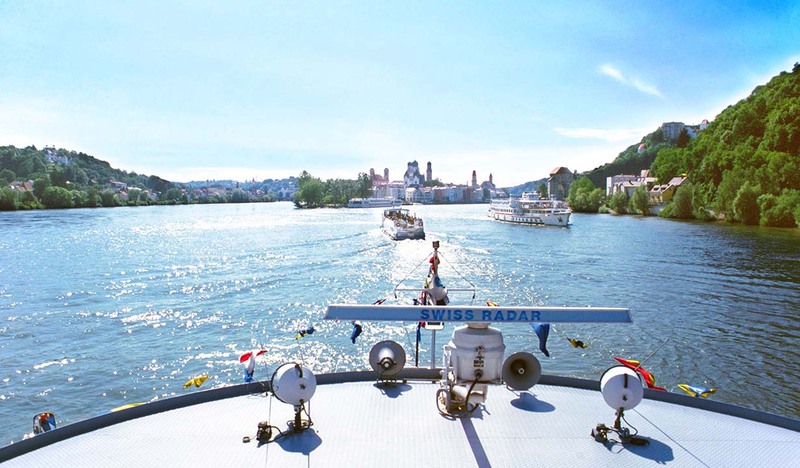 “Three Rivers” Sightseeing Tour incl. 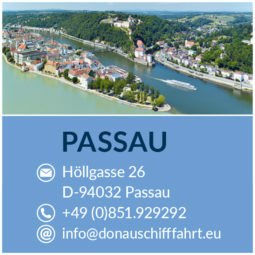 guided walk through the old town of Passau. Start: daily at 11:00 a.m., 01:00 p.m. und 03:00 p.m. Dogs are allowed and free of charge. Please take you dog on a leash.